The contents of the library reflect the interests of the men involved, and the changing focus of the times. Exploring the catalogue shows us that Marsh had Descartes’ Geometria reflecting his mathematical interests, whereas Bouhereau had eight of Descartes works, including the Discourse on Method, Meditations and Principles. Bouhereau had a copy of Le saint, sacré, universel et general concile de Trent, describing the Council of Trent from the Roman Catholic point of view, Stillingfleet who was involved in arguing for Anglican orthodoxy, had a copy of The Council of Trent examined and disproved by catholic tradition. All three have copies of Lucretius’ Epicurean poetry, while Stern did not, but Stern was the only one to have a book by Spinoza (the Renati Des Cartes principiorum philosophiae). After the furious debates of the seventeenth century, the penal laws, a reaction to war, became, in peace, an all too successful barrier to exchange which meant that, on the intellectual level, both communities developed without much reference to one another, apart from the customary exchange of annual insults. Marsh’s Library was built in 1701-3 and was designed by Sir William Robinson (d.1712) the Surveyor General of Ireland. It is one of the very few 18th century buildings left in Dublin that is still being used for its original purpose. It was protected by an act passed by the Irish legislature in 1707 – “An Act for Settling and Preserving a Public Library for ever“. The interior is still much as it was when opened, with many books on the same shelves Marsh and Bouhereau originally placed them. 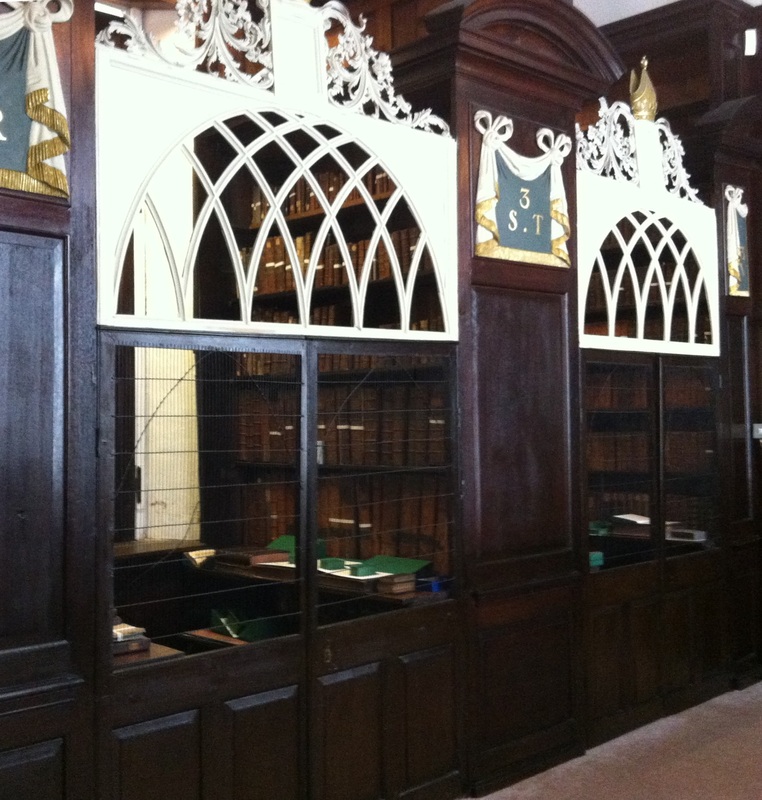 However the cages, where readers were locked in to prevent theft, are no longer in use. Archbishop Marsh’s Library, the catalogue, and Facebook, Twitter and PInterest pages. O’Connor, Thomas (2004) Marsh’s Library and the Irish Catholic tradition. In: The Making of Marsh’s Library. Four Courts Press, Dublin, pp. 235-255. From NUIM ePrints.